Having a good and stable helpdesk system is not a luxury. If you have more than one employee who does support for you then you need to share an access to the corporate emails with them. I was using osTicket as a free alternative, it’s good when you know some php and can solve problems that appears on your own, but when it comes to larger scales fixing problems is not what you want dedicate your efforts to. Recently, I’ve came across JitBit’s helpdesk ticketing system. For the first look their feature set looks impressive, so before going into the detailed research I looked at pricing options available. I’m sure that your choice will also be between freeware solutions available on the market and paid solutions. Here is why you might want to go to the commercial software. Those who tried accessing classical help desk system know that it is a night mare. Responsive design is not supported and you need to resize screen. Sometimes an answer that you was typing for a long time get deleted because of a click that you did not want to make. JitBit offers for a support ticketing an access via smart phones, so for those who travel and need to attend their corporate email it will be a perfect solution. If you are at management position then one day or another you will need to have a reporting linked to your help desk system. Again, if you know some php you might query database of free help desk, but believe me, it is not the easiest task. For example, getting a simple indicator like “Average ticket response time” is a challenging task. For sure, commercial systems support reporting more and you can expert to get some meaningful information faster. Sometimes you wish you could make some rules to automate ticket assignment or make some autoresponse message for a case users are writing about an old product. With commercial help desk, for example with JitBit, this is easier, just set up an auto response template and that’s it! Finally, I’m sure you worked with contact forms on the website. They are a night mare for any webdesigner because they are constantly attacked and you also need to think about sending a message to your helpdesk. For example, with JitBit you can integrate it into your website, so no more fighting with complicated HTML forms! 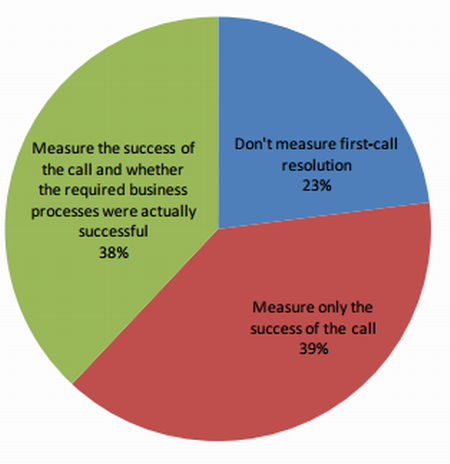 Reporting metrics are crucial for any call center and there cannot be any doubt about that. What makes them so essential? Is it possible to measure the performance of this organization without them? If you wish to find out answers to these questions, then proceed reading this article. Call center industry uses numerous metrics to evaluate the effectiveness of this or that company and productivity of its personnel. What indicators are worth serious consideration then? Though this depends upon the type and specialization of your business, there are a few metrics that have to be taken into account. The most vital of them are first resolution rate, average handle time and abandon rate. First rate resolution is that metric that can tell a lot about your current business performance. It is highly important to keep in mind that most callers wish to have their inquiries and problems settled from the very first try. This, however, is not always possible, because one and the same agent may not be knowledgeable enough in all the spheres at a time. Therefore, if one employee is not able to handle your call, this should not be a huge problem for you. What matters here is how responsible and serious an agent is when trying to deal with your problem. In case he/she cannot manage a call successfully, then it is important for this agent to transfer it onwards, which should be done politely and correctly in order not to leave a customer unsatisfied. That is why proper personnel training is critical here. Average handle time is a metric, which should be implemented in combination with other measurement tools, but not in isolation. Some call center managers do not consider this indicator significant, however, because they just do not see the point of making customers wait until their calls will be handled. They believe that it is just a waste of money and agents’ effort, because the less calls are handled on time, the more after-call work will be required. What is important here is to understand that the handle time should not be too long. Otherwise, this will affect the rate of customer satisfaction and can even make clients contact your competitors. Analyzing abandon rates is as useful as measuring metrics mentioned above. This process helps a contact center define whether extra measures (ring-backs, for instance) help retain customers or not. This metric is also useful when it comes to optimizing call center resources, which is vital in case of peak periods or during lunch hours. 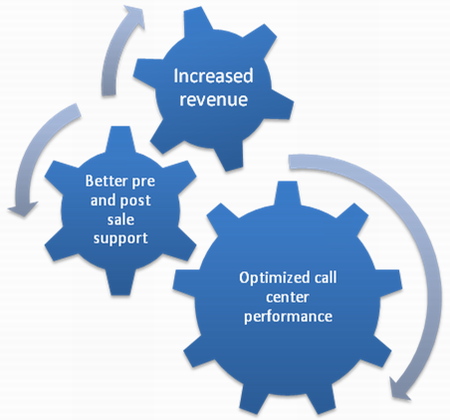 Performance evaluation in different call centers is not the same. This process varies from one organization to another depending upon their success, current efficacy, amount of customers, long- and short-term objectives etc. Though there is no correct way to measure the productivity of a contact center, managers of these organizations can make use of special indicators known as metrics that help get the most out of the measurement procedure. When choosing call center metrics that will meet the strategic mission of your company and its current goals, you should not consider the type of your contact center only. Instead, take into account such factors as the overall essence of your business, its specialization, the type of clients you have, available services etc. The truth is that diverse call center metrics can seem an ideal choice when implemented in a complex. However, they may prove to be ineffective or questionable when analyzed in isolation. With regard to this, a well-thought approach to the measurement process seems to be vital here. It is of great importance to know in advance what exactly you are willing to achieve through the process of measuring call center performance. 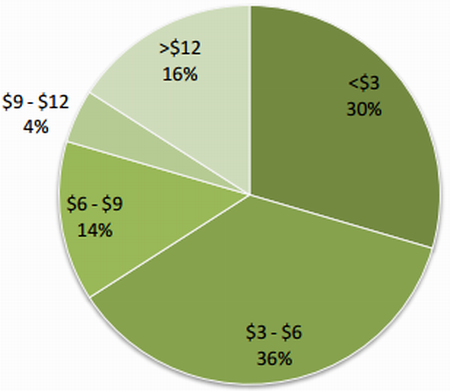 Thus, if you are analyzing cost per call, it can make sense to handle calls the sooner-the better. At the same time, the speed of call handling may not satisfy the customers, which will surely affect the overall business productivity and revenue. So, it becomes clear why it makes sense to create a formula that will help find the most effective solution to this problem and this is where call center metrics may come in handy. Nowadays, serious attention is paid to service measures, such as abandon rate, average speed of answer and longest wait in a queue. However, these metrics also depend upon the customers and nature of your business. So, if some indicators seem inappropriate for your call center, it makes sense to have a look at other service measurement indicators. Keep in mind that any forward thinking organization is bound to look far beyond instant hitting of common key performance indicators. With that said, there is no need to state that some metrics are more important and others do not matter a lot. Everything depends upon your current business efficacy and goals you have set. 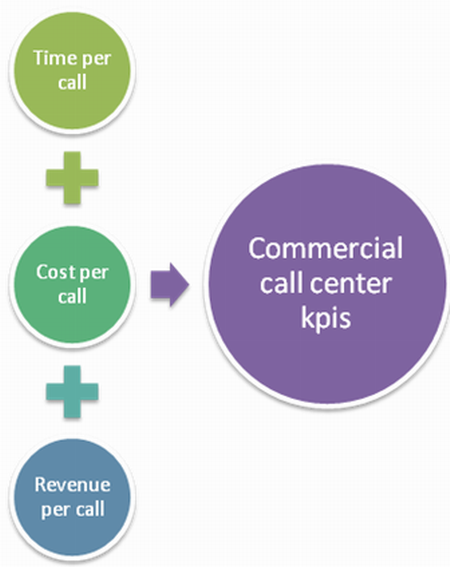 So, take your time to evaluate these factors before deciding what call center KPIs are vital for your company in particular. Modern call center managers can use a number of important and useful reporting metrics that can help evaluate and improve the performance of this organization. Some of them are more valuable as compared to other indicators, which means that they can be initially considered when there is a need to assess the effectiveness of this company and productivity of its employees. The most critical indicators are listed below, so you can learn more about them if you are going to evaluate your contact center. What you should realize is that forecasting the number of expected calls means a lot for any call center, since it helps define the amount of required resources for effective and timely handling of calls. As far as forecast accuracy is highly important, it is understandable why this metric can affect the cost of labor as well as experience of customers. The more accurate the forecast is – the better performance and staffing a call center will avail. 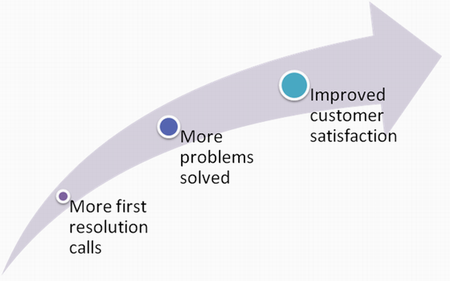 Customer satisfaction (CSAT) is another important indicator that points out the efficacy and overall success of a contact center. There are a few things you should consider when evaluating the rate of clients’ satisfaction. To start with, your survey should be based on the actual interaction of customers with a call center. Secondly, this metric should be measured by third-party experts that will make the results more impartial and objective. There are no specific questions to be mentioned in a survey, since they depend upon the type and specialization of business you run and current problems you face. 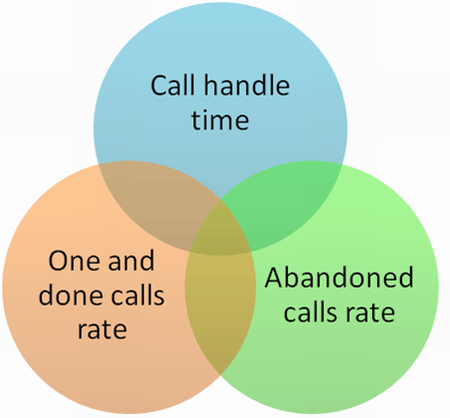 Another critical indicator to be considered by call center managers is average handle time (AHT). In order to measure this metric, you have to take the expected handle time and multiple it by the approximate number of calls, which have to be managed. As a result, this will allow you define the amount of employees needed to meet the desired call volume. Some contact centers, but the way, may have to adjust this metric with regard to daily needs and seasonality. So, the most effective way to evaluate this indicator is to consider historical data and trace the ongoing changes. Some contact centers that are going to find out their current staffing requirements use a highly informative metric known as the number of calls offered to clients. Some organizations take into consideration the overall number of customers who need the service, while others focus on the general call number that were answered during the specified time interval. 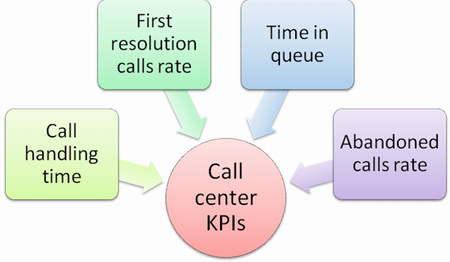 Understanding and measuring call center metrics is one of the biggest challenges for managers of these organizations. That is exactly why lots of them are searching for specific industry standards that could help them track these indicators. Though there are no pre-defined standards for most of the metrics, some of them are still important enough to be monitored and analyzed regularly. So, what are these metrics and why are they so valuable? Let us find that out from the article below. Average hold time is one of the metrics you will not go without when trying to measure the performance of your contact center. It is the amount of time people have to wait on hold before their calls are answered. The lower this indicator is, the higher the rates of customer satisfaction and contact center productivity are. To reduce this indicator, it is recommended to undertake the following steps: offer the improved self service and training options, enhance technical details and implement other changes that will meet the demand and needs of customers. Call blocking is something that should preferably be avoided in any call center. Nonetheless, there are situations when this measure proves to be unavoidable or sometimes even useful. For example, if your call center is responsible for selling tickets for the upcoming concert and there are extreme peaks you will not be able to avoid. There are two possible ways out of this situation – either to hire more agents to meet the increased customers’ demand or to block some of the calls until agents will be able to answer them. The latter approach seems to be more reasonable and less expensive. However, call blocking is what should be used in urgent situations only. 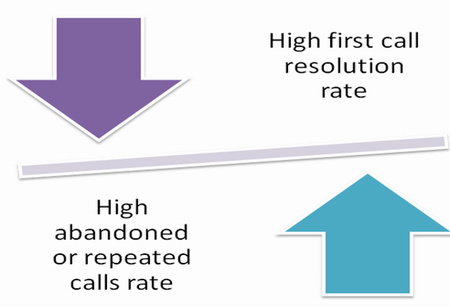 If you wish to find out whether you are using this option adequately, you will need to implement the call blocking rate metric. In case you consider the cost per call metric essential for your contact center, there are a few additional factors to be taken into account. These include the wage levels, overhead expenses, call handling time, technology etc. 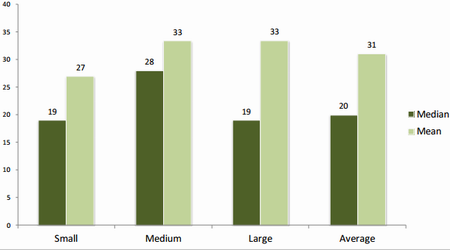 Though this metric is generally applied to measure the efficacy of a contact center, it can also reflect other issues. The only thing you should bear in mind is that this metric should be measured consistently with regard to the same factors. This is the best way for you to compare the results and draw proper conclusions. If you are looking for the best method of measuring the performance of your call center, then metrics are those tools you should initially focus on. However, designing and implementing the metrics strategy may be a difficult and painstaking process that will take much time and effort. This is because there are dozens indicators you may consider significant for your contact center, but not all of them will be really be useful. When choosing metrics to be analyzed, you should pay attention to such factors as strategic goals, call center operations, available resources and budget, customers etc. With regard to this, the following metrics seem to be the most important and valuable: service level, average handle time, the process of quality monitoring, occupancy and schedule adherence. Below we will focus on schedule adherence and occupancy, because not all the managers realize how to measure and introduce them properly. Meanwhile, both metrics matter greatly when it comes to determining adequate call center performance and staffing. Schedule adherence is one of the most common metrics that helps define whether the agents work in compliance with the scheduled amount of time. To measure this indicator, you should take the overall amount of time an employee is available for handling calls and then divide it by the amount of scheduled time. This metric may involve the amount of time an agent is engaged into completing tasks not related to calls, including breaks etc. Contact center adherence may be viewed both on a group and individual basis. Some call centers tend to monitor this metric in real-time, whereas others take into account the historical data. Nonetheless, any serious deviation from pre-set adherence objectives means that there is an increased need for extra coaching and employee training. Call center occupancy is also referred to as agent utilization. This metric indicates the total amount of time employees spent either on phone or engaged into after-call work. Thus, an 80% rate of occupancy means that the agents are busy for 80% of the time and wait for the call to be handled for the rest 20%. In case the occupancy rate remains too high for a certain period of time, your agents may be highly exhausted and unable to handle the calls effectively. If this indicator is too low, it may signify that your contact center is overstaffed, which results in extra financial expenditures. 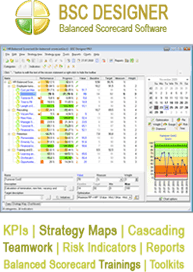 Both schedule adherence and call center occupancy should be measured carefully and consistently so that the managers of this organization could be able to monitor and manage the current performance of their organization properly.